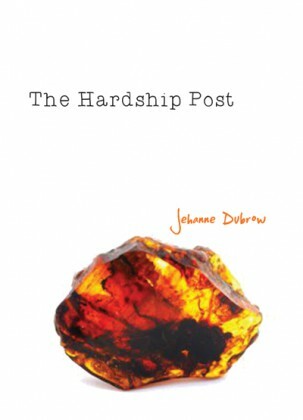 First Published by Three Candles Press in 2009, The Hardship Post was released by Sundress Publications in a new edition in 2013. At the place where the cruelties of history and those of story intersect, Jehanne Dubrow has staked a claim. These are poems of emotional intensity under formal control. An impressive first collection. I admire Jehanne Dubrow’s poems not only for the poise and beauty of her lines, but also for the way she grapples with big subjects: inheritance and home, the cultural and the personal. A bearer of tradition, she also knows what it’s like to lose herself in modernity. “I don’t belong where bodies separate / from minds like sand trying to leave behind / the sea.” Poems become strands of continuity stretched almost to breaking by mobility. Dubrow seems to have lived everywhere—and that is precisely where The Hardship Post should be read. There’s a tensile strength of line here—predominantly pentameter—that underscores the ease of the poetic idiom: just as the heartfelt yet disciplined feeling-life of the content underwrites this collection’s larger themes of Judaism and its ancient traditions. The Hardship Post has a good deal on its mind as well as the load in its heart. Polish history and heritage may be one personal focus, but displacement and identity are the greater subjects. First books don’t usually take on the world at this level of seriousness and skill.